The years since the release of Singles have been transformative for Future Islands, catapulting the Baltimore‐based band from cult favorites to synthpop icons. As addictive songs like breakout “Seasons (Waiting on You)” turned the world on to sublime pleasures a loyal fan base already knew, this hard­‐touring band plowed forward, playing their 1,000th show in July 2015 and celebrating their 10th anniversary in February 2016. 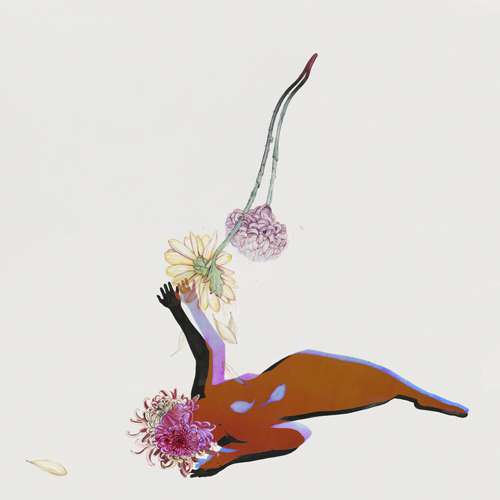 Now Future Islands returns at the top of their game with new album The Far Field, delivering twelve chest‐pounding love songs and odes to the road as only they can. The Far Field refines and builds on the breakthroughs of Singles, bursting with undeniable hooks and disarmingly honest lyrics written by Samuel T. Herring (vocals, lyrics), William Cashion (bass, guitars), and Gerrit Welmers (keyboards, programming). The band began writing new material in January 2016 on the coast of North Carolina, and continued throughout the year in Baltimore before road‐testing these songs with a series of secret shows under fake names. In November 2016, they settled in with Grammy Award-­‐winning producer John Congleton at Los Angeles’ legendary Sunset Sound, where everyone from The Beach Boys to Prince have laid down masterpieces. 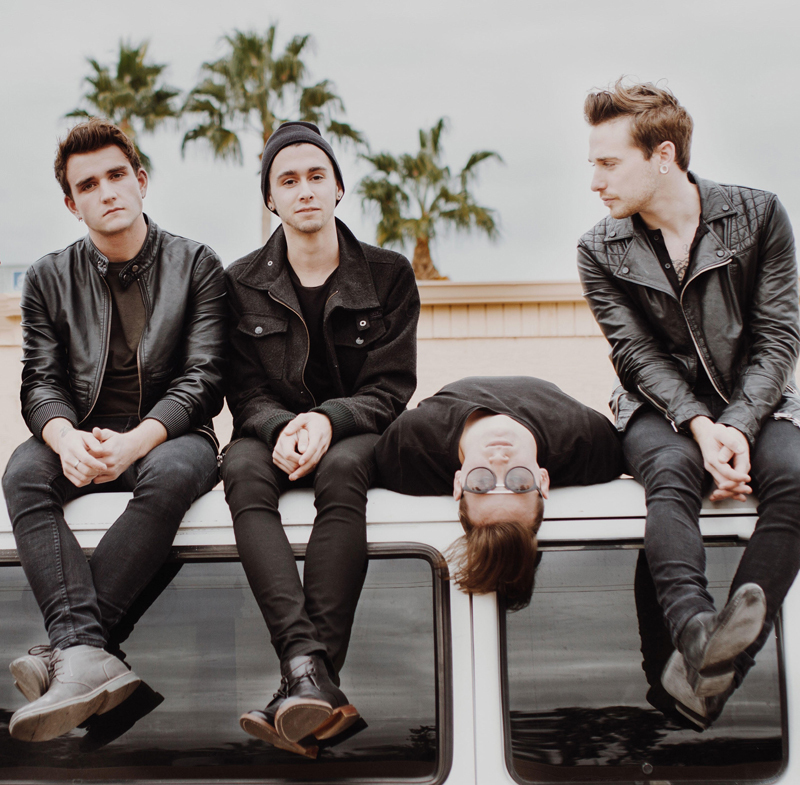 The Wrecks are a 5-piece indie rock band from Los Angeles, CA. Heavily influenced by groups such as The Pixies, The Strokes, Weezer, and Vampire Weekend, they pair undeniably catchy choruses with meaningful lyrics and vocals, resulting in their young and quirky signature sound. Indie rock duo Flagship set out on a mission to make music that stirs up feelings, creates an atmospheric vibe, and makes you feel an array of emotions amidst a moving soundscape of timeless rock and roll. While that mission has been accomplished on the Charlotte, North Carolina-based band’s previous releases, it comes to fruition even more intensely on the band’s second full-length album, The Electric Man, on Bright Antenna Records. The album, which was produced by Beck’s longtime drummer Joey Waronker (Brandon Flowers, Yeasayer, Atoms for Peace, Air), finds singer/guitarist Drake Margolnick and drummer Michael Finster taking listeners on a journey from light into darkness and back again. The girls cut their teeth as a live band early, using the teetotal, all-ages venue The Velour as their testing ground from age 13 onwards. It was in this environment that they gained confidence and thrived, their lineup solidifying a year later when McKenna met Katie in junior high, who, thanks to her older brother’s love of music, had a whole rehearsal space in her parent’s basement. “She just shreds,” explains McKenna. 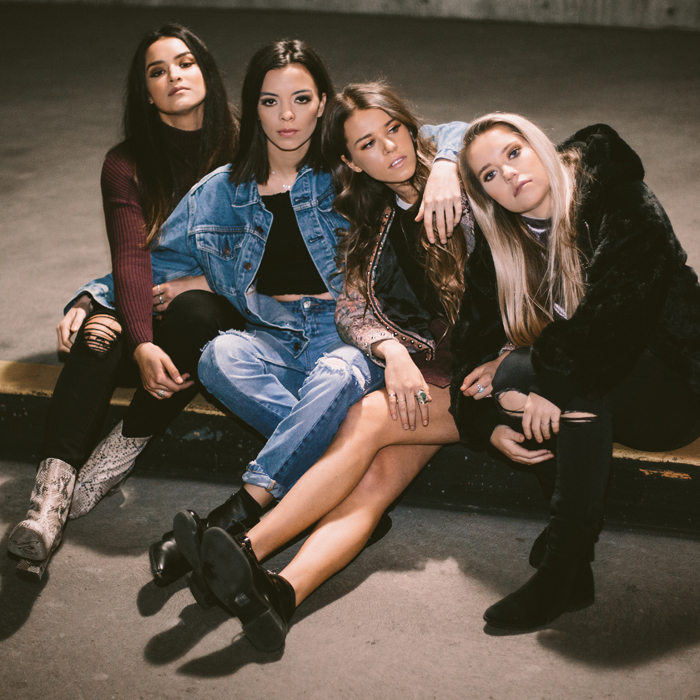 “We were like, this is what we've been looking for!” The newly formed quartet would now blend McKenna and Katie’s alternative tastes (they grew up on The Cure, The Beatles and Depeche Mode) with those of Alisa and Cristal to truly find their sound. The title of Silent Rival's debut album, The Kindness of Strangers, can be interpreted quite literally. Several years ago, vocalist Sara Coda responded to a compliment about her coat by immediately taking it off and giving it to the admirer. Then she turned the experience into music—a torch-song-cinematic-show-stopper "Take It From Me," which deals with the idea of leaving the past behind. Examining that past, and using it as a starting point for new beginnings, is a common theme throughout The Kindness of Strangers. However, the Los Angeles based band—Coda, guitarist Joz Ramirez, bass player Yutaka Sao, and drummer Brock Bowers—thrives on rising from the ashes. "I've got to die a little, to live at all!,” Coda exclaims on the first single, “Die A Little”. 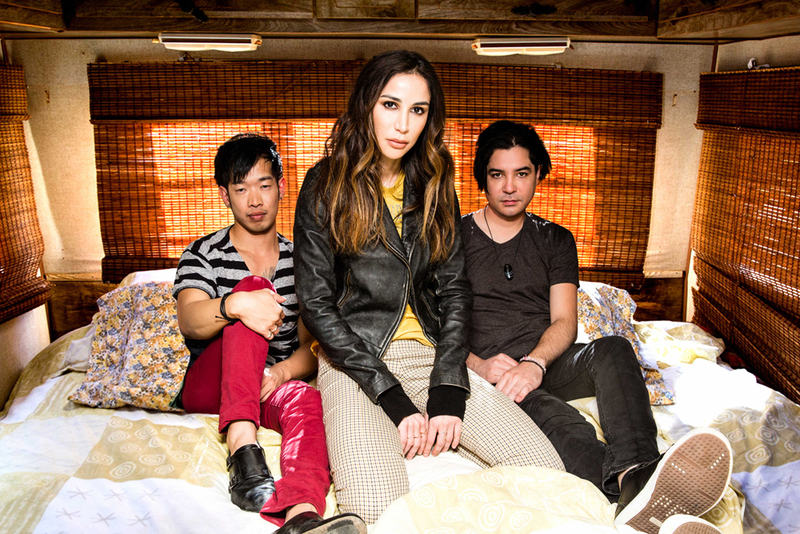 VanLadyLove hails from Provo Utah, home of bands such as Neon Trees, Imagine Dragons, Joshua James, The Used, and others. Inspired by this hot bed of talent, the band has never had small goals and has grown a national and international fan base using a mixture of YouTube videos, social media and touring. The band prides itself on hard work, sincere songwriting and a captivating live performance. Recently VanLadyLove won the “#1 Artist on the Verge 2014” award, a national honor given by a team of top A&R scouts, talent buyers, booking agents, media taste-makers and other industry experts at the New Music Seminar in New York City. The bands debut EP of original music “Love Matter” charted on iTunes in its first week and several songs from the EP have had placements on national television. The breakthrough single from Bay Ledges, “Safe” came to life in a moment of major creative upheaval. After spending a few years in New York City, musician Zach Hurd took off for L.A., got a job at a restaurant in Venice, and put his music career on the backburner. 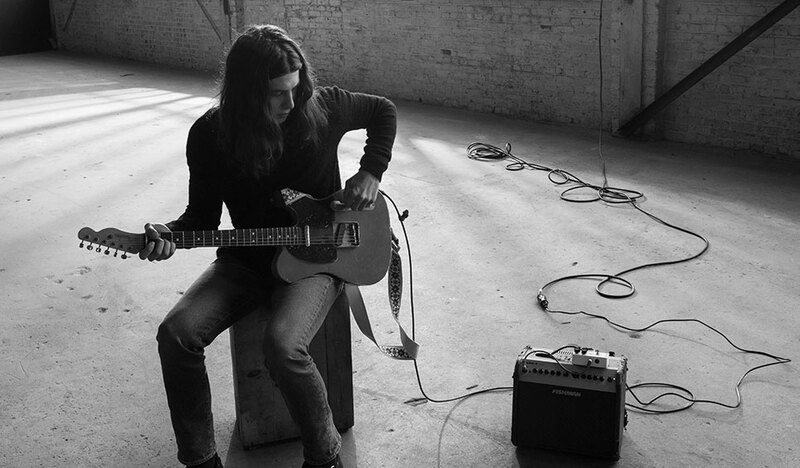 While crashing at his sister Georgia’s place, he soon began writing and recording on his own as a way to reconnect with the pure joy he’d found in making music as a kid. Official music video for "Freaking Out" from the upcoming Juiceboxxx album "Freaked Out American Loser" (out July 28 on Dangerbird). I got a J-O-B and that’s to stay alive, 24/7 not 9 to 5"
Juiceboxxx might be out of his mind, but in all the best ways. Freaked Out American Loser is a punk rap blast that captures the anarchic, aggressive spirit of Juiceboxxx’s live show while also adding a new level of polish, focus, and dare we say, professionalism. Songs like “Guts and Tension” and “Destruction and Redemption” place the listener in the middle of the pit, blazing with frenetic guitar and thick energy. “Freaking Out” and “Go To the Club Alone” display dexterous rap skill and a heavier hip hop feel while retaining a jittery post-punk edge. And the album-closing eponymous track even brings to mind the melodic chime and epic codas of the Pixies. WELSHLY ARMS combines their love of blues with rhythm and soul & good ol’ rock and roll, to create a fresh throwback sound that represents their Midwestern roots. Comprised of Sam Getz (guitar/vocals), Brett Lindemann (keys), Jimmy Weaver (bass), Mikey Gould (drums) and Bri and Jon Bryant (bgv’s), Cleveland-based WELSHLY ARMS pays homage to many of their collective musical influences such as Jimi Hendrix, The Temptations, Otis Redding, and Howlin Wolf. The power of their live show has quickly built them a dedicated following in the US. In 2016 WELSHLY ARMS performed at SXSW, Austin City Limits, Laurel Live, Summerfest, and took a trip on The Rock Boat. 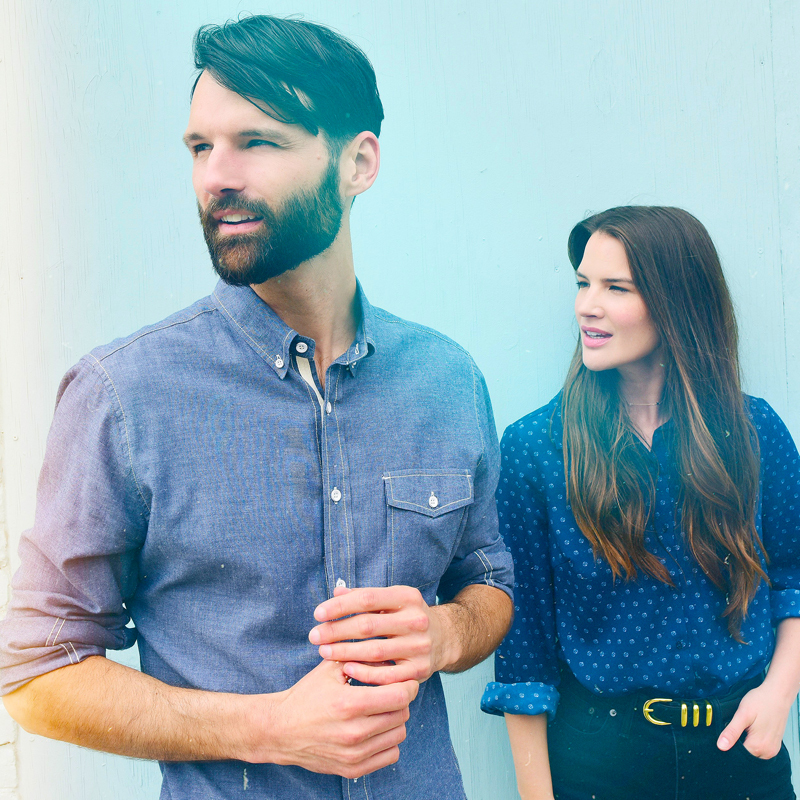 The buzz earned them a spot on a 53 date tour across the US supporting NEEDTOBREATHE and Mat Kearney. In 2017, WELSHLY ARMS will beef up their national and international presence with performances confirmed at Rock im Park and Rock am Ring, as well as yet another trip on The Rock Boat, this time supporting Andy Grammar. Their music has been featured in promos for the Emmy-nominated show, Empire (FOX), broadcast advertisements for Miller Lite, and national TV/radio campaigns for the Cleveland Indians. Their single “Legendary” has recently been featured in TV commercials for Hulu, Indian Motorcycles, the NFL, and is just starting to pick up traction at radio throughout Europe. A piece of paper may seem flimsy, but once it’s folded into something it becomes stronger, its weakness suddenly transformed. That’s true for people, too: Once you recognize your weaknesses you can shift them to become your strengths. You can become like that piece of once-flimsy paper, now folded into origami. That’s the premise behind Vinyl Theatre’s dynamic second album, which takes the title Origami to represent the idea that you have the power to reform your personal limitations. The Milwaukee trio started writing the new music shortly after finishing their 2014 debut album Electrogram, their first release for Fueled By Ramen. The musicians found themselves deep in thought while touring the country extensively over the past two years, reconsidering how they wanted to project their ideas through their songs. The goal on Origami was to tell a cohesive story, rather than just gather tracks together, and Vinyl Theatre wrote nearly 40 songs, beginning with one called “My Fault,” which encapsulates the main message of the record. When it came time to draft the action plan for album number two, July Talk turned to the only focus group that mattered: those sweat-soaked fans slithering up against one another to lose their minds and morals at the band’s electrifying concerts. That’s the space where the blinding contrasts in July Talk’s music—Leah Fay’s crystalline communiqués vs. Peter Dreimanis’ three-cartons-a-day bark; greasy southern blues vs. urbane new-wave cool; sexual tension vs. cathartic release—collide with thundercloud force, and their new record, Touch, represents its perfect, lightning-in-a-bottle distillation. With the world roiled by fear and division borne out of politics, economic uncertainty, and terrorism, perhaps there is no better time for the arrival of music underpinned by the belief that love wins. Into the maw of anxiety comes Vancouver’s indie synth-rock band Mother Mother and their new album No Culture, which posits that society uses negative byproducts of culture — such as narcissism, hedonism, and addiction — as a means to nurture its fears of the unknown. “If we can strip back the culture, or the masks, attitudes, and stories that feed our differences, and just connect as people we might be more united at a time where we really need to be,” says Mother Mother’s frontman, guitarist, and lyricist Ryan Guldemond. On the debut 2017 release by LA based alternative band Varsity Week, gigantic, pop hooks collide with a tidal wave of soul and the results are unforgettable. Produced by Jim Kaufman (Night Riots, Beware of Darkness, Emery) and Kenny Carkeet, the band's first single, "Anyways" is at once smart, catchy and wears its heart on its sleeve. Equal parts 90's alt-bubblegum and several generations of cool, Varsity Week is a sound you're not soon to forget. Music video by Varsity Week performing Anyways. © 2017 Another Century, a division of Century Media Records Ltd.
First track from our upcoming record Same Sun Same Moon, out April 14th via Mascot Records. We may not all share the same beliefs, but people are still more alike than different. No matter if you’re in San Diego or South Africa, living 10,000 years ago or today, we all look up to see the same sun and same moon. We are all connected in one way or another. This message of unity beats at the heart of Little Hurricane’s latest release, Same Sun Same Moon. NAWAS, dangerously self-assured and shockingly frank, is here to rile you up. Marrying smooth, androgynous R&B vocals with rich instrumentals and tightly woven concept-based lyrics, NAWAS combines timeless sound with the hustle of newcomers. One listen and you instantly see their collective past, present, and future. It’s big, loud, and exactly what you’ve been waiting for. Originally from Louisiana, NAWAS is now based in Nashville, where vocalist and songwriter Jake Nawas, guitarist Ben McDaniel, and drummer Joey Gonzales frequently collaborate with producer Sainte and songwriter Luke Foley. The band’s timeless sound is influenced by the likes of Kayne West, Prince, D’Angelo, and Justin Timberlake, with a foundation that celebrates both classic songwriting and innovative production. Nawas’ smooth, androgynous R&B vocals, rich instrumentals, and tightly woven concept-based lyrics have found fans among tastemakers and music lovers alike. The band have hit #1 on Hype Machine and is rapidly approaching one million streams combined. They’ve also received airplay on Beats 1 and inclusion in Spotify’s most coveted playlists, including New Music Friday, Weekly Buzz, Discover Weekly, and Fresh Finds. NAWAS is currently at work on their debut EP for Harvest Records. Few bands have as much authentic chemistry as New York-based group The Heydaze. Vocalist Jesse Fink, guitarist Andrew Spelman, drummer Tyler Matte, and bassist Alexander Glantz are true best friends, finishing one another’s sentences while lovingly hurling insults and inside jokes. “We like cheering each other on,” says Jesse, “but we can also be very brutally honest to each other without taking it personally.” Each member identifies this apparent camaraderie as their defining trait as a group; as imperative to their studio experience and live show. 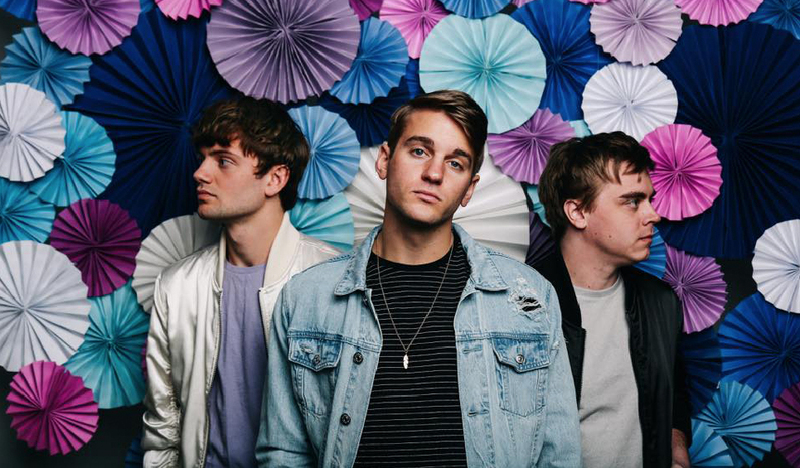 But their chemistry also translates into the music itself, allowing The Heydaze to create and hone a unique blend of pop and alt-rock, with messaging that truly resonates. Inside a Redwood tree off the coast of California; within a tunnel by Snoqualmie Pass; on an airstrip in Marble, Colorado; in a wild daisy field near Crested Butte—these are just a few of the places Los Angeles trio, Magic Giant, recorded its debut album, aptly titled, In the Wind (Washington Square/Razor & Tie). Austin Bisnow (lead vocals), Zambricki Li (banjo, violin, harmonica), and Zang (acoustic guitar, cello) welcomed nature into the fold as their unofficial fourth member. “I always knew I wanted to perform somehow,” says Barns Courtney. “There are photos of me at three years old, with my teddy bears all lined up, singing into a plastic microphone. Music is just an inherent part of me, and it was something I couldn’t help but pursue." Suddenly, that pursuit has exploded into one of the most exciting music stories of recent times. The young artist went from working part-time jobs and sleeping in his car to scoring hits on both sides of the Atlantic. “Fire,” Barns Courtney’s first U.S. single, took off at SiriusXM’s Spectrum channel and ultimately charted in the Top 5 at Triple A radio and within the Top 15 at the Alternative format. Bradley Cooper and Harvey Weinstein personally tapped it for use in the film Burnt. “Fire” was subsequently heard in advertising campaigns for the Showtime network, the Volkswagen Golf Alltrack and BOSE Soundsport Wireless Headphones. Meanwhile, “Glitter & Gold” went to No. 1 on the Spotify UK Viral Chart. Soon Barns Courtney found himself opening for The Who at London’s Wembley Stadium and also supporting such artists as Ed Sheeran, Elle King and Blur. Growing up in Seattle, Barns Courtney’s passion for music was apparent early on. “I’ve always written songs, for as long as I can remember,” he says. “I wrote songs before I could play an instrument, just little poems or whatever, as young as six or seven years old. 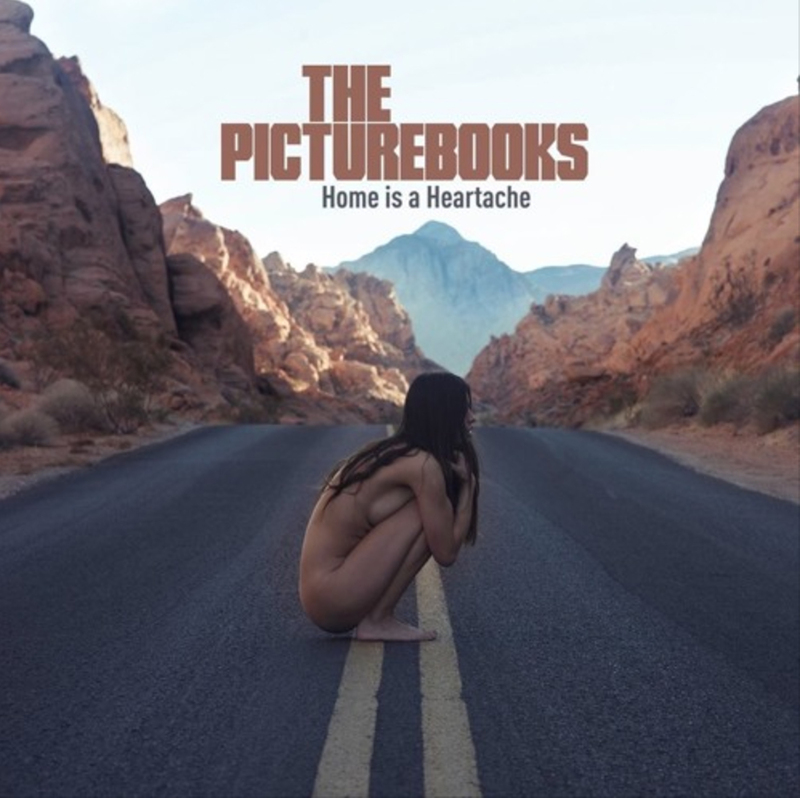 It’s not surprising that THE PICTUREBOOKS recorded their 2014 album, Imaginary Horse [RidingEasy Records], in the same garage where they regularly refurbish and repair motorcycles and choppers. The German duo—Fynn Claus Grabke [vocals, guitar] and Philipp Mirtschink [drums]—capture a raw, rich, and real energy befitting of the room’s natural reverb, industrial aura, and spiritual spark. Fynn and Philipp first crossed paths at a local skate park. Becoming fast friends, they realized their mutual interests extended beyond skateboarding and into music like The Smiths, The Cure, and Minor Threat. Soon, they began writing songs together, utilizing equipment Fynn’s dad, Claus, had accumulated over his years as a musician and record producer. Based out of Fort Worth, Texas, THE UNLIKELY CANDIDATES are an alternative rock band initially formed as an acoustic duo by childhood friends Kyle Morris and Cole Male, then expanded to include guitarist Brenton Carney, bassist Jared Hornbeek, and drummer Kevin Goddard. Their sound expanded too: in a broader, more sweeping direction exemplified by their singles, “Your Love Could Start a War” and “Ringer.” Both are featured, along with four new tracks, on the band’s Bed of Liars EP, out now through Another Century. IRONTOM’s music isn’t music that you dispassionately slip into your back pocket for a convenient conversation piece. You wear it on your sleeve. In the last year the Los Angeles-based band has supported AWOLNATION on dates across the U.S., opened a string of shows on the Live Nation “Ones to Watch” tour and is currently on a national tour with Finish Ticket and Run River North. Their debut album on Another Century Records, produced by Aaron Bruno, is forthcoming in Spring 2017.